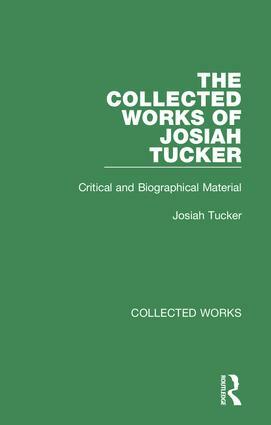 Josiah Tucker was one of the foremost thinkers of 18th century England in the field of economics, international relations, political theory and imperialism. His publications have been virtually unavailable since their original publications - these six volumes represent his most important writings in economics and social theory in one comprehensive collection. Detailed contents available on request.